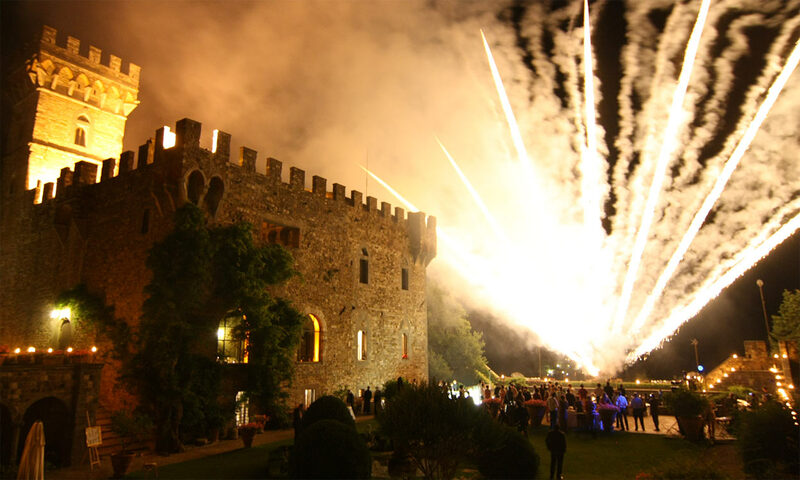 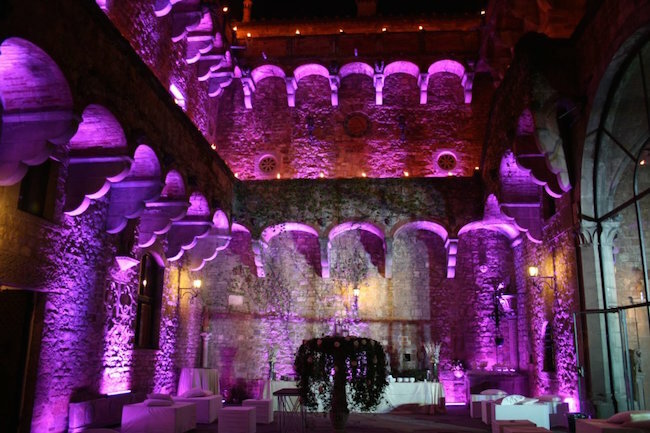 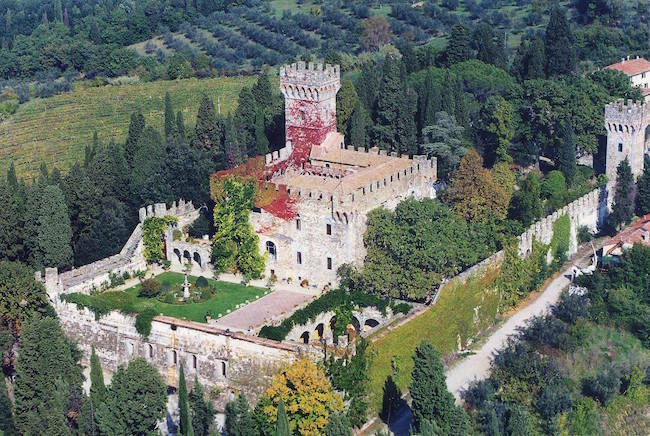 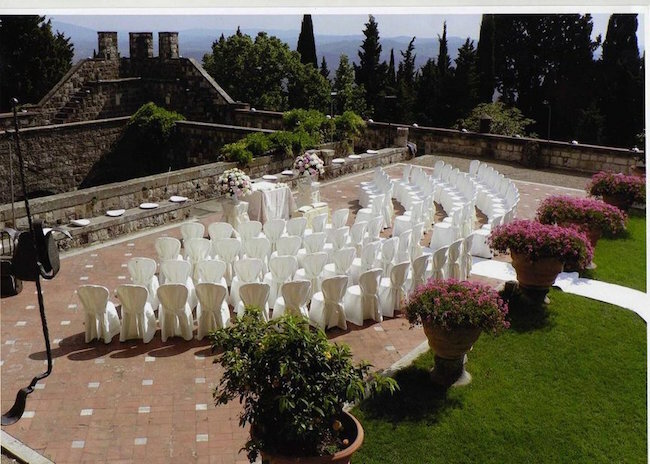 Fiesole Castle is one of the most romantic & beautiful venue far a few km from the centre of Florence. 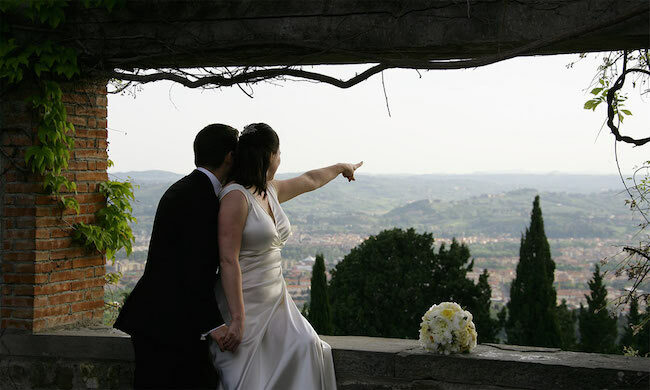 Plunged among the rolling Tuscan hills, it is the ideal place for celebrating your special day. 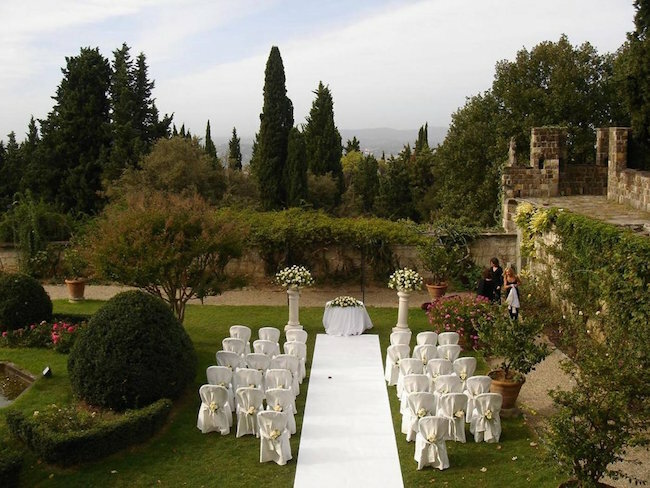 Ceremony on the lawn and the welcome cocktail on the terrace in the garden. 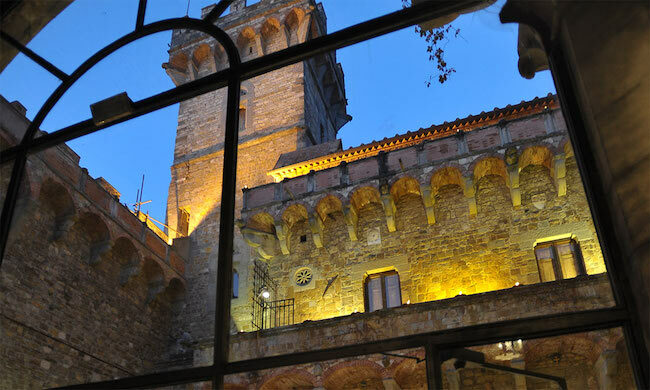 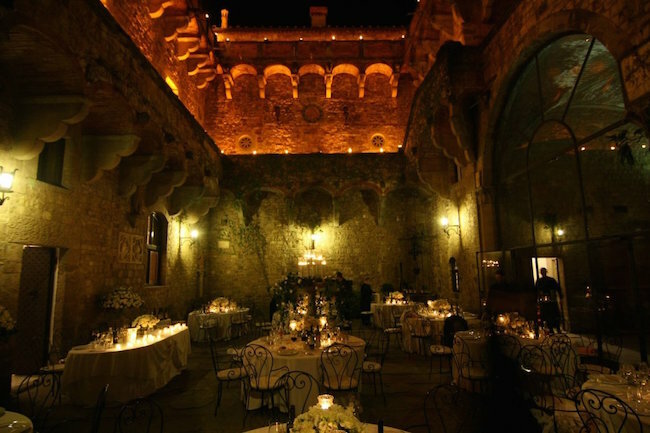 Romantic dinner in the Courtyard with candles and torches all around During the evening the guests can stroll around the Courtyard, the drawing-rooms with its original forniture and frescos, and armoury with antique arms. 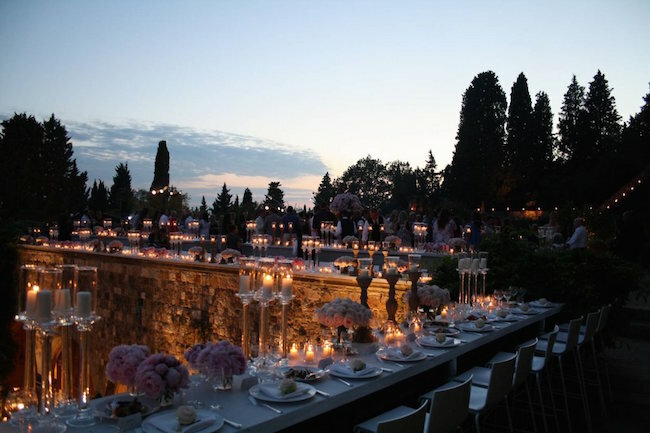 After dinner and dancing in the garden, one can visit a terrace with a stunning view of Florence.